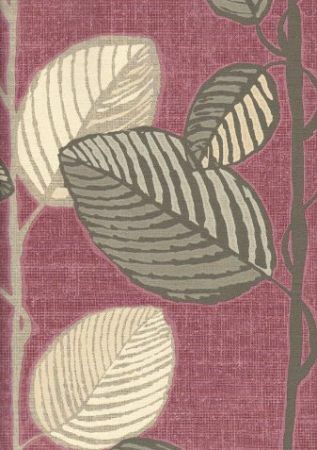 A new collection that Linda has been busy adding today has really caught my eye, entitled Mocaccino by Coleman Brothers I’ve come across at least three patterns that I’d be delighted to hang in my living room at home (which could really do with a spot of decorating if I’m honest). The collection blends a fine mixture of browns and creams that one would expect to see walking into any high street coffee chain such as Costa, Starbucks or Caffe Nero. With the occasional coloured floral pattern to match, ranging from purple shown above to blues and greens, this thick wallpaper has a luxurious texture to match. Having been on somewhat of an ‘indie-kick’ lately, supporting the smaller hand printed independent wallpaper manufacturers, I’m also pleased to say that we haven’t forgotten about adding collections offered by the old boys. Rod has somehow managed to add three new collections this week, all of them from well known brand names: Harlequin, Graham & Brown, and Farrow & Ball.